Come visit us at the ICNA-MAS convention bazaar at Booth #918! 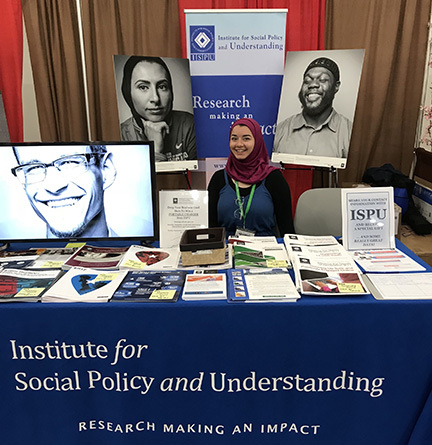 Play a fun game to test your knowledge of American Muslims, see our latest research findings, and get your ISPU swag. For something extra special, come meet our Director of Research Director, Dalia Mogahed, on Sunday, April 21 from 10 a.m. to 12 p.m. We can’t wait to see you there!